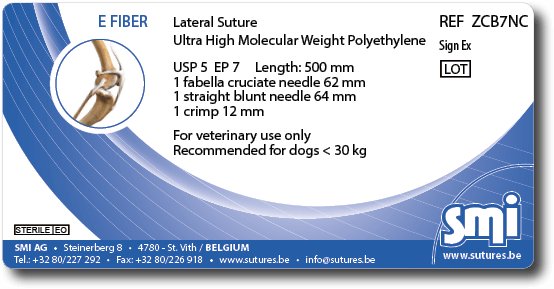 E FIBER is a medical grade braided sterile surgical suture prepared from Ultra High Molecular Polyethylene (UHMWPE) and Polyester. E Fiber is a non absorbable braided suture that provides flexibility and strength superior to most other suture materials. For more details, see the complete product sheet.